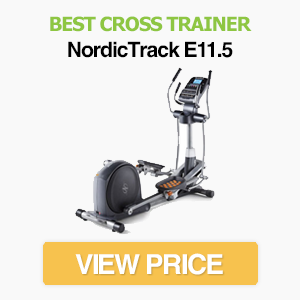 The cross trainer, or elliptical machine as it’s sometimes known, is one of the best pieces of home cardio equipment. In this article, we’ll go through seven of the main benefits of using a cross trainer over other types of equipment. While we briefly touched on most of these advantages on our best cross trainer page, we thought it would be helpful to go into more detail on exactly why this type of fitness equipment is so effective. A cross trainer is an excellent choice if you want to lose weight. Working out vigorously on a cross trainer burns plenty of calories, as you’ll use many of the muscles in your body simultaneously. For comparison, the number of calories burned while working out on a cross trainer is around the same as a treadmill, but more than a stepper or exercise bike. One of the biggest advantages of a cross trainer over a treadmill is reduced joint impact. 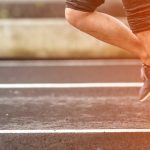 Treadmills cause a monotonous pounding on the ankle, knee and hip joints, which can lead to over-use injury – especially if your running form isn’t up to scratch. Cross trainers, in contrast, provide a low-impact workout that’s much kinder to your joints. The movement is also smooth which can make it more comfortable when exercising for long periods of time. If you suffer from joint or tendon pain, we nearly always recommend a cross trainer over a treadmill. Cross trainers move in a fixed and fluid motion that’s fully dependent on your movements. As long as you don’t exercise too vigorously for the weight and stability of a cross trainer, they are generally safe to use. This is different to treadmills, where you need to keep up with belt. Higher quality and heavier cross trainers are less likely to fall over when used for intense workouts. If you’re planning on using a cross trainer for high-intensity interval training, make sure you choose a machine that can handle this type of workout. Quadriceps and Hamstrings – These are the primary muscles worked when you push the pedals of a cross trainer. The calves are also involved. Glutes – Pedalling forward will activate your glutes, but for a stronger workout you can pedal backwards. Chest and Back – The chest and back muscles are worked when you push and pull on the handles. Triceps and Biceps – These muscles are also targeted by the handles. Of course, the muscles targeted depends on how you use the machine. Some people prefer to do most of the work with their legs, which can provide a more focused quadriceps workout. Others like to use a combination of arms and legs to get a more complete workout. There’s no “right” way to use a cross trainer – but the option of a full-body workout is a big advantage. Varying how you use the cross trainer can also allow you to target different muscle groups, which isn’t possible on an exercise bike. Using a cross trainer doesn’t require as much concentration as a treadmill. If you often get bored while exercising, it’s safe to watch TV while workout out on an elliptical. While this is possible on a treadmill too, the risk of injury is higher if you’re not concentrating. You can also get plenty of variety from a cross trainer workout. Aside from changing how you use the machine, most models have a variety of resistance levels. Higher priced options also have pre-set programs for calorie burning, target heart rates and performance. 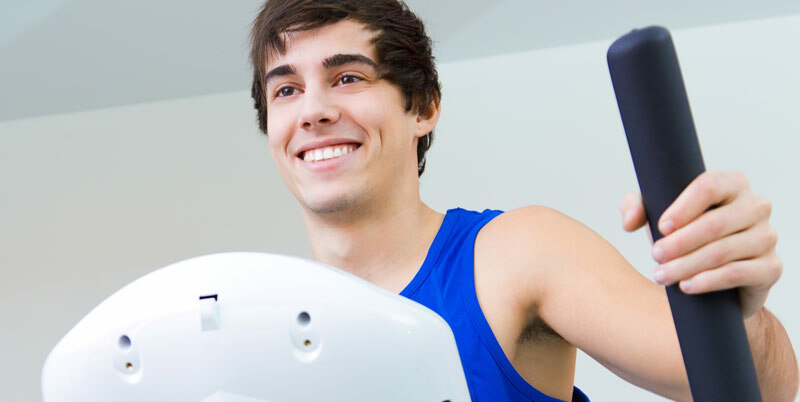 The low-impact nature of a cross trainer makes them a popular choice for rehabilitation from injury. They can also help to strengthen the quadriceps muscles without putting too much strain on the knee joint. Injuries can also decrease your stability until muscles have been properly rehabilitated. This is another reason why a cross trainer is great for rehab, as they are smooth and stable. A full-size treadmill can take up a lot of space. While folding treadmills take up less room when not in use, you still need to find an area that’s large enough including a “safe area” behind the belt. Cross trainers are smaller in comparison, although they are often taller and bulkier than exercise bikes and rowing machines. One of the hardest parts of exercising is getting the motivation to begin. When it’s pouring with rain outside or you need to drive 20 minutes just to get to the gym, staying at home on the sofa is tempting. Like all home exercise equipment, a cross trainer is a convenient way to get in shape from the comfort of your own home, so you’re less likely to skip your workout. Is Outdoor Running Better than a Treadmill? Matt is a 31 year old fitness enthusiast and professional product reviewer from the UK. When he's not working out in his home gym, he enjoys biking, rock climbing and playing with his two dogs. What is a Manual Treadmill…And Should You Buy One? 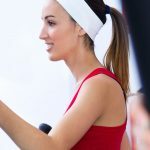 TheHomeGym.co.uk is a participant in the Amazon EU Associates Programme, an affiliate advertising programme designed to provide a means for sites to earn advertising fees by advertising and linking to Amazon.co.uk. Any prices or information on this site are subject to change without any notice. We always do our best to keep information and prices up-to-date, but we can't guarantee the accuracy of prices or special offers. We are not responsible for the products sold or actions taken by our affiliate partners. Click here for full disclaimer. © TheHomeGym.co.uk. All rights reserved.